Closed in 1mm thick internal liner. 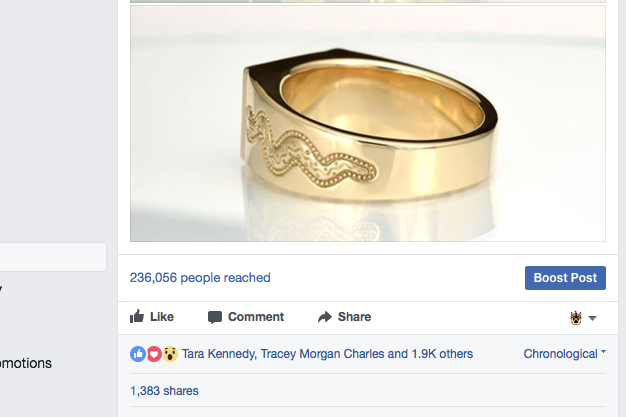 Since I first released this ring in 2016 it has been shared on Facebook over 1300 times and viewed by 236,000 people. I later created a Goanna totem version for another customer. I have had many requests to do a lighter and cheaper version but I will not. 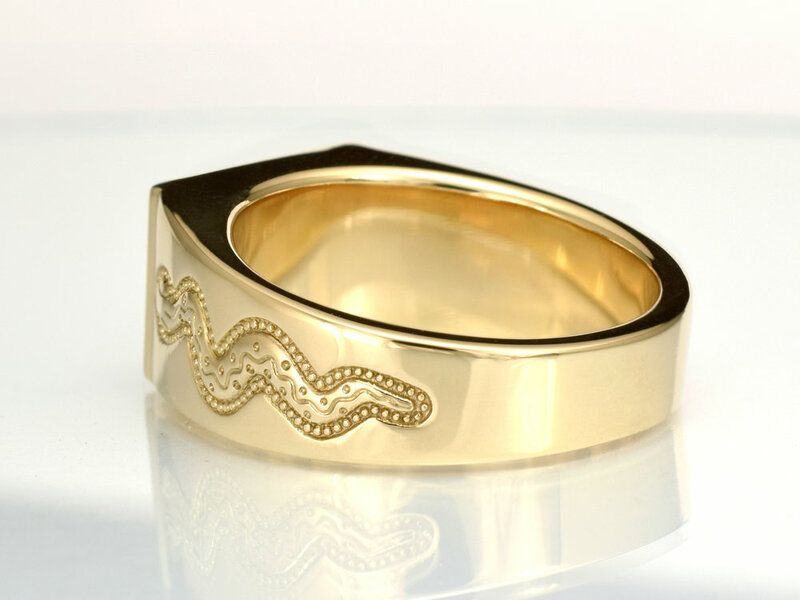 The reasons why I will not make thinned out rings are explained in this article from 2013. Will see if I can explain it better....the onyx needs to be custom cut for the way the flag fits together in my design. There needs to be volume for that to be economical. I could never get the volume so it kills the design right there. Next many wanted the ring cheaper. To do that you need to make them thin and thin breaks. I would not do that. Would rather not make them. The articles I sent you explain that. Next many wanted it to be a surprise and the rings really need to be made to size and that rules out a surprise. 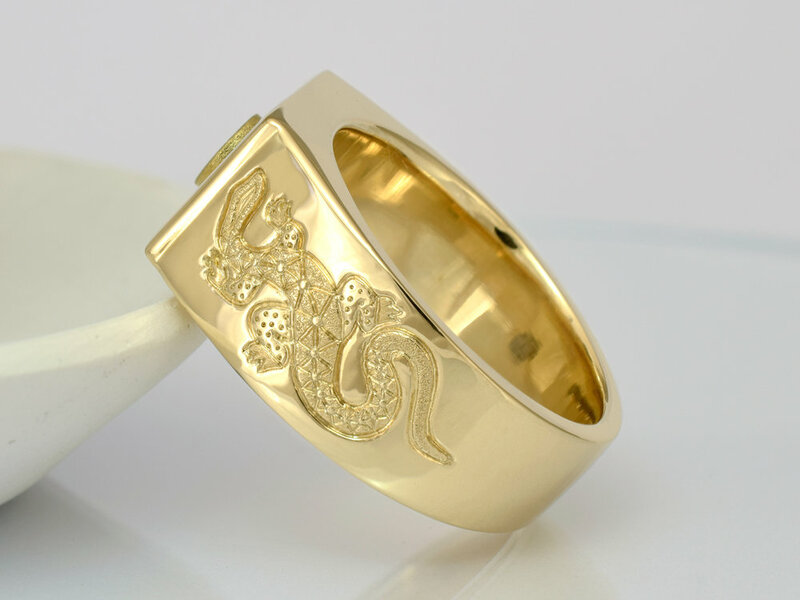 Be careful you don`t have a ring made to a wrong size and it will not resize well or at all. The reason why I say ask around is because maybe someone will have an idea that I have not thought of and the designs (as first nations peoples) are yours to do with as you want.